Easy to wash and made from quick drying fabric. 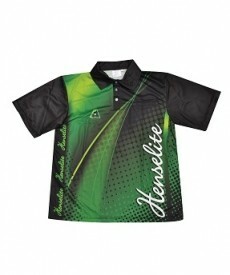 The Henselite Energy Shirt is perfect for a tournament or when you're just at the club for a roll up. These comfortable bowls shirts are colourfast and fade resistant. They are easy to wash and made from quick drying fabric. Henselite Energy Shirts all carry the BA Logo.